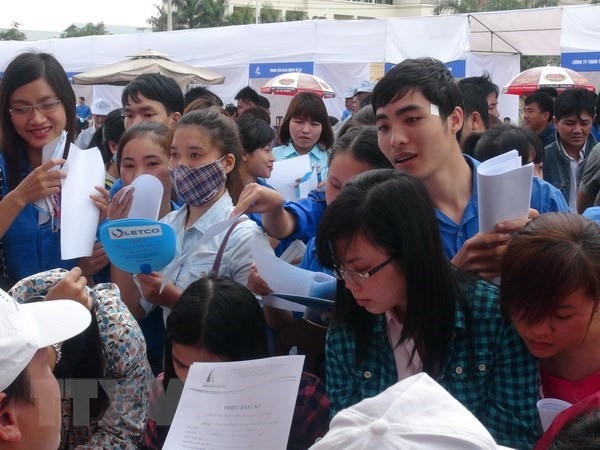 HCM CITY — As many as 320,000 job vacancies are expected in HCM City next year, according to Trần Anh Tuấn, vice director of the city’s Human Resources Forecasting and Labour Market Information (Falmi) Centre. The figure includes 130,000 new jobs, he said, adding that 80 per cent of the jobs would require trained employees. In the first quarter of the year, the city will need 90,000 workers for jobs in marketing, sales, market research, advertising, logistics, tourism services, restaurants-hotels, packaging, electricians, housekeeping, and security. For the second and third quarter, the city will need 155,000 additional workers and another 75,000 for the fourth quarter. Recruitment needs for the logistics field have increased sharply because of import and export demand, he said. Many logistics agencies require workers with English speaking and information technology skills. Candidates for jobs in network security, programming, web design and application development are also needed for the city’s "Smart City for 2017-20, vision to 2025” project, said by Trần Thị Anh Đào, director of the centre.